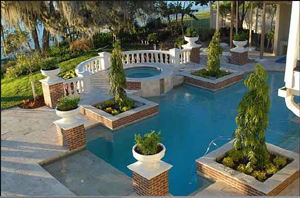 View our Orlando landscape contractor before and after images here. This gallery includes some concept images that were created by our landscape architect for our clients during the design process. 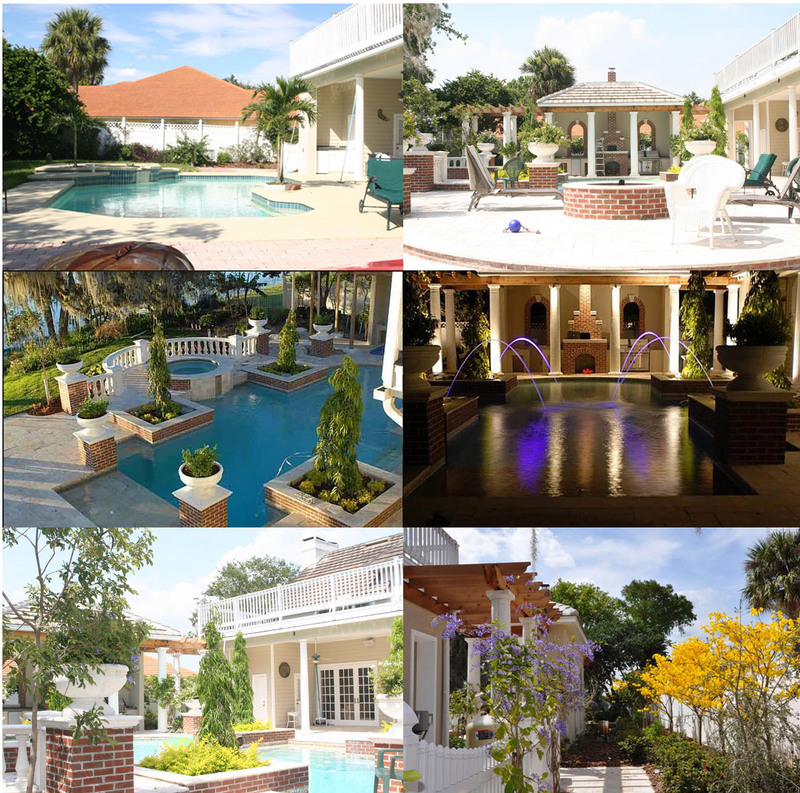 We hope that these Orlando Landscaping images demonstrate the exceptional work that we strive to produce on a daily basis for our Orlando, Central Florida and Florida Landscape clients. 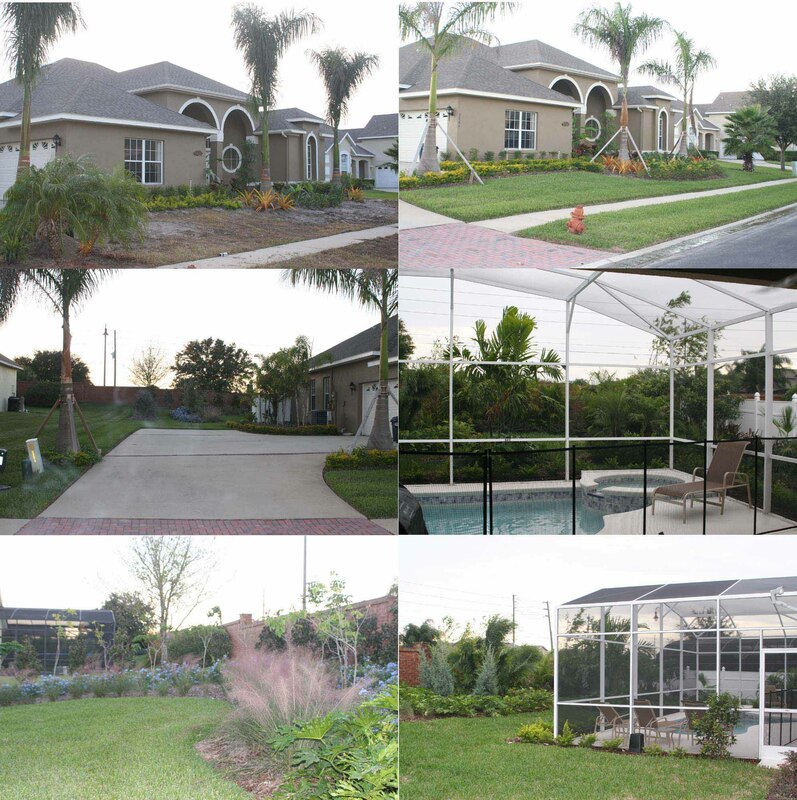 Presented here are Before and After photographs of some of our Orlando landscape projects. 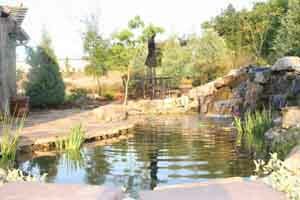 Some Landscape Projects contain Conceptual Design Images. 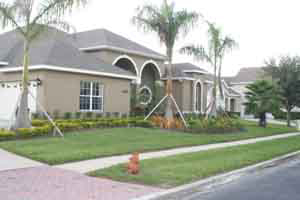 The photos depict the landscaping upon completion of this Orlando Florida landscaping project, click on the photo to see the before image and the conceptual image by our landscape architect. Project Date November, 2014 The scope of the project was landscape clean up, irrigation, wall construction, paver installation and landscaping. Click image to see before and after comparisons of this landscape. This photo completes the completed Disney Vacation Villa Landscape project. 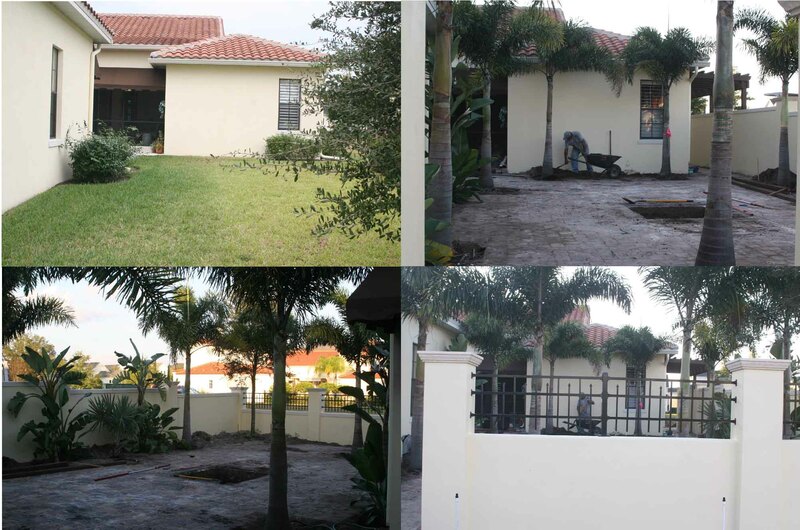 Click on the photo to see the before and after comparison of this Florida Landscaping project. Project Date March, 2008. The scope of the project included irrigation repairs and modifications, Landscape installation. a residential project which main focus lies in a large waterfall and pond combination, this Orlando landscape is successfully self-maintained by natural biological balance of aquatic fauna and flora without the use of chemicals. 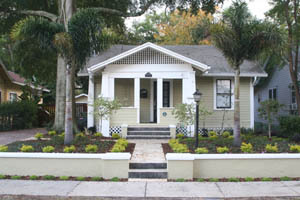 This landscaping project located in Winter Springs Florida consisted of landscaping, Irrigation, and landscape lighting. Additionally, out landscape architect provided the design services for this project. 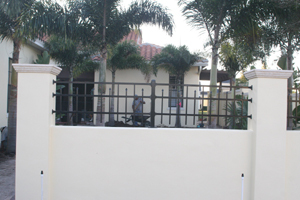 This December 2014 (Current) project consists of creating a walled courtyard with iron work, a water feature fountain, installation of a trellis structure with irrigation, pavers and landscaping. We will update photos when the project is completed.